Bluewaters Island is a destination with a pioneering spirit, blending island, waterfront living with the exhilaration of the city to create an unrivalled experience for residents and visitors. It is a colourful beacon adorning Dubais urban landscape, drawing in those seeking endless lifestyle opportunities. Located off the coast of Jumeirah Beach Resindence opposite THE BEACH, Bluewaters is a lively, family-oriented destication with a diverse range of places and experiences that will leave you spoilt for choice. 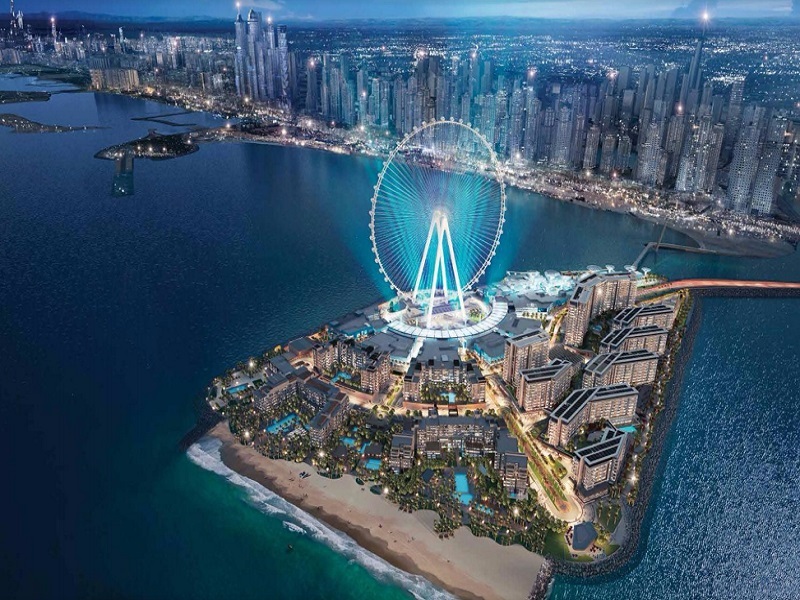 The island is home to Ain Dubai, the worlds largest tourism hotspots, complete with distinctive residential, retail, hospitality, and entertainment experiences and concepts.